This innocent-looking sign raises a mess o' questions. Why would a taquería feature cajun-recipe chicken? Why the goofy use of "K" in the spelling? Does the goofy "K" have anything to do with the wacky jumble of letters in "Krunchy"? If so, why isn't "Krispy" similarly jumbled? Is the tilting barn supposed to accentuate the good-natured wackiness? What do goofy/wacky lettering and graphics have to do with a taquería? 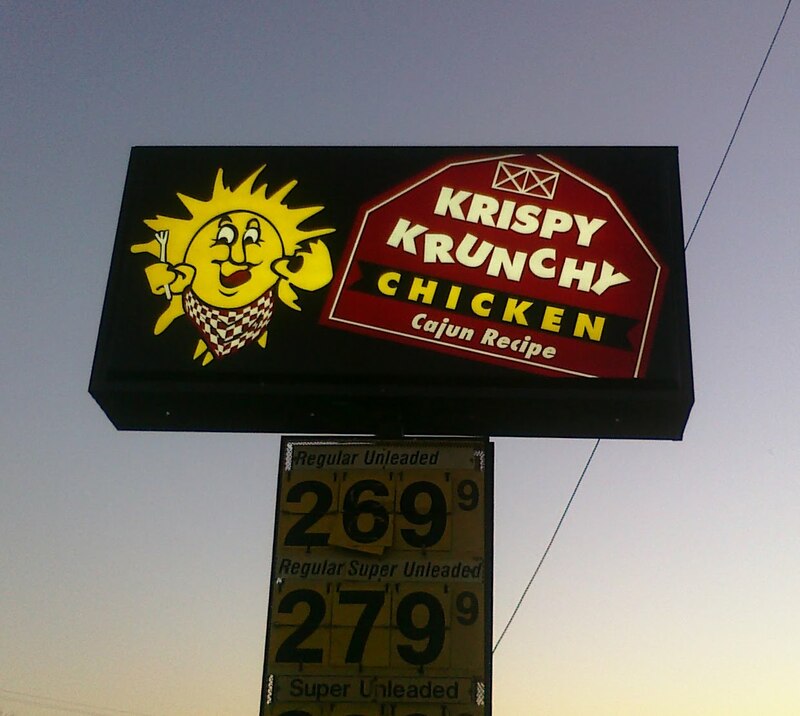 And finally, what is the connection between a checkered-bibbed sun and eating chicken? Don't ponder these questions too long, or you'll ruin your weekend.